"If I work with Scarlett again after this, that will make three times!" 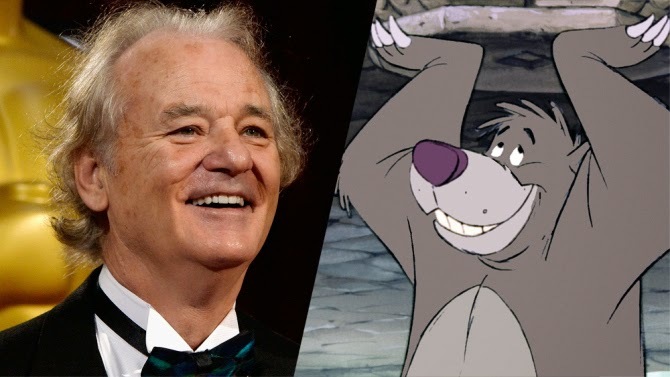 Bill Murray, everyone's favorite actor, has been cast in the iconic role of Baloo in Disney's upcoming live-action version of Rudyard Kipling's "The Jungle Book." I will admit to being a bit mystified as to how Bill is going to play a bear in a live-action film, but finding out is half the fun! 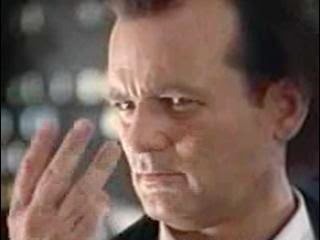 This will reunite Bill with his "Lost in Translation" co-star Scarlett Johansson, who plays Kaa in the film. Back in 2003, Bill was a big star and Scarlett was unknown. In 2014, Bill is still a big star, and so is Scarlett. Some things change, and some things don't. Thank goodness. 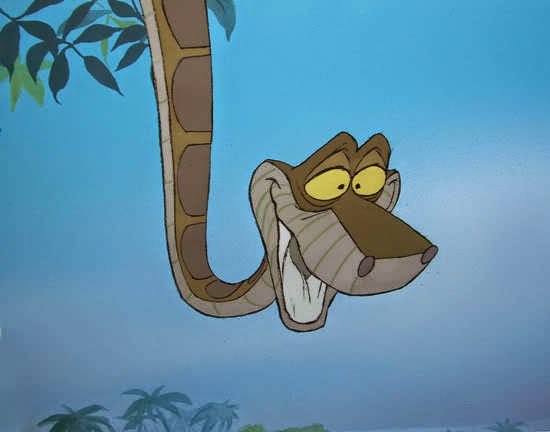 Incidentally, if you consider yourself a big film guy or girl, riddle me this to prove it: who played Kaa the Snake in the original "The Jungle Book"? LOL, one of the great roles in animation history. Answer below. Kaa in "The Jungle Book"
Since Bill was nominated for an Academy Award (which he should have won) the last time the two worked together, here's hoping that lightning strikes twice. Incidentally, if you need your memory refreshed - I know, you don't, but I feel like posting it anyway - here is Phil Harris and his classic performance of "Bare Necessities" in the original "The Jungle Book," which everyone who has seen the film must agree was the absolute high point of the entire thing. Actually, perhaps the best dance sequence in film history. Yes, I like animation, can you tell? Oh, and Kaa the Snake was voiced by Sterling Holloway. Don't feel bad, I had to look it up, too. Would recognize that raspy voice any time, but the name? Fugeddaboudit. Can't wait for this film!